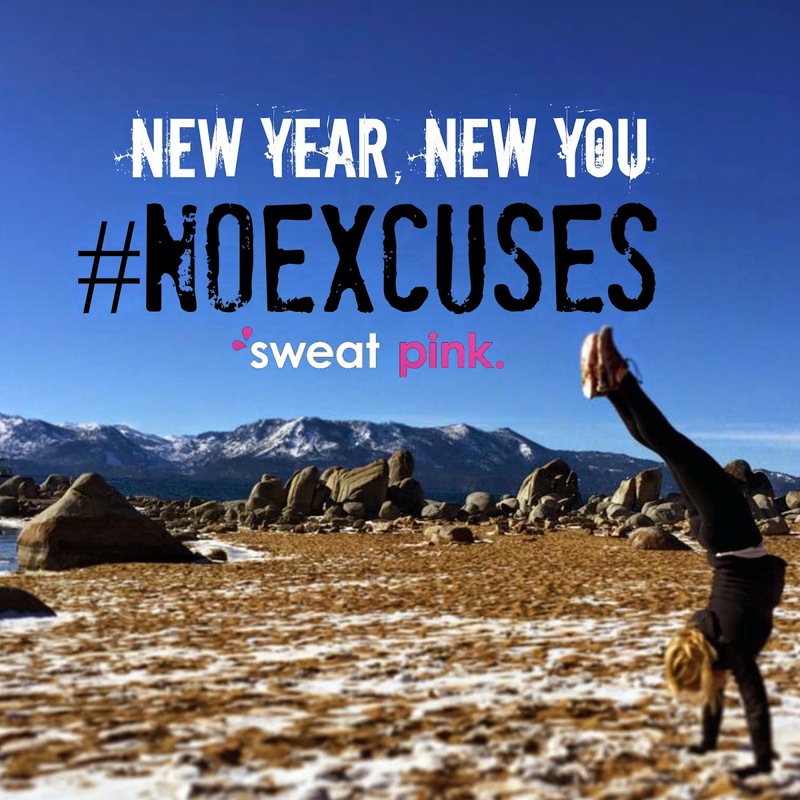 Have you heard about the #NoExcuses SweatPink Challenge? 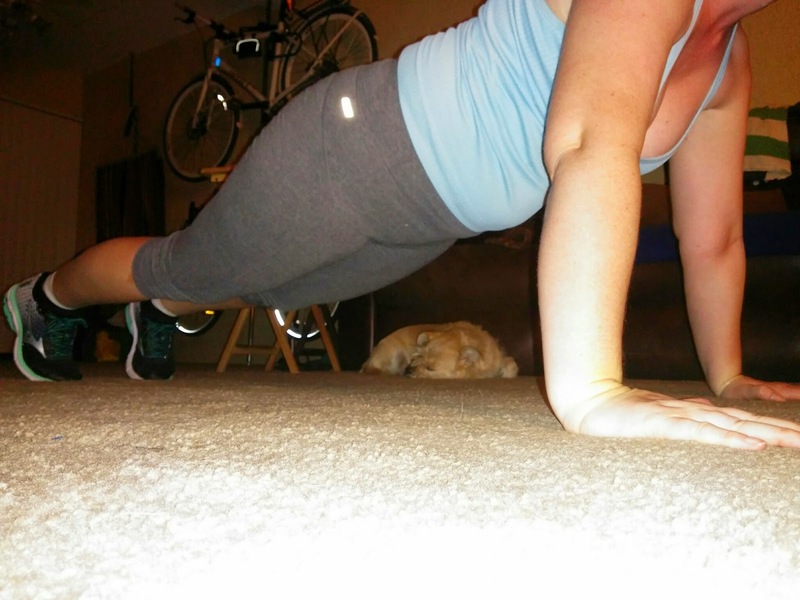 Well, it officially started TODAY with a 30 sec plank. And just for fun to kick it all off, here's a little Fill-in-the-Blank Mad Lib type letter. Hey 2015, it’s me Clarinda. This year I would like to run faster, run in every state on our road trip, and run a 30k trail race. It would also be super duper awesome if I also did a sub-25 min 5k this year. It’s not a resolution, though, just a reminder to myself to try and have the best year yet because I'm totally worth it. The thing I am looking forward to most this year is having fun. I’ll use the one thing that truly gets me out of bed in the morning which is having time to get my workout in before work to help me get up, get MOVING (verb) and get after my #NoExcuses 2015. Speaking of excuses (ahem), my very favorite excuse is I'll do it after work and I have used it to get out of doing a run and yoga on more than 1,000,000 (number) occasions. I vow to move my body and be more healthy this year even if it means I have to wake up earlier. Even if my alarm clock gets eaten by the dog in the middle of the night, I'll still workout. I will stop blaming the husband [ex: kids, dog, husband] for eating the rest of the cookies when everyone knows it was really me. My husband [job, hair, car, husband, kids] is not the reason I make excuses. I will show my husband [same as before] who's boss this year and get my run [type of sweaty activity] on. I know that strength training [type of workout] is better than running alone [noun]. I will reward myself by relaxing every now and again. No Excuses 2015 has just begun and already I am imagining myself a winner. I can’t wait to rock a tank top (article of clothing) from Augusta Active. I can’t wait till my sweaty friends are jealous of how fresh, clean and glowing (adj) I am between workouts with help from ShowerPill body wipes. I can see myself rocking crow [yoga pose / workout move] in new leggings [article of clothing from Actio926] from Actio926 and looking fit and fly while doing it. And of course, I’ll be taking my workouts to the next level and improving my speed [noun] with my new ActivMotion Bar to help me train for my next 10k [distance] race with Sasquatch Racing. Oh, and let’s not forget how amazing my shorts [article of clothing] will smell in my / during my run [favorite type of workout] after washing with some WIN Detergent. And lastly, I’ll keep rocking my 2015 with clean eats and nutrition from Beaming with Health! That was super fun! Now, it's YOUR turn! What are you most looking forward to in 2015? I'd love to read your fill-in-the-blank letter. Just fill in some of the blanks in the comments below OR if you posted to your blog, leave me the link in the comments. Here are the WEEKLY PROMPTS for this first week of No Excuses!